I remember the first time I watched “The Sound of Music”. It was my mom who bought me the VCD and then introduced me to this amazing movie. I was just a kid. I watched it over and over again. More than 20 times, I believe, until I can memorize each and every scenes. This movie perfectly combined the beauty of nature, music, and humanity. Just in case some of you haven’t watched it (really? is there anyone in this earth who haven’t watched “The Sound of Music”), I want to briefly tell you about the story. So, the movie centered in a girl named Maria. She wants to dedicate her whole life to serve God. That’s why she decided to be a nun and spend her life in a convent. However, little did she know before that living in a covent is not that easy. There are so many rules that she has to follow. Maria is still young and free. She can’t stand with all the convent rules. Most of the times, she sneaks out from the convent, go the hills, and sing. Finally, she’s asked to leave the convent for a while and being given a job as a governess for 7 children of Captain von Trapp. She’s never expected that she’s going to enjoy this kind of job she has. To make the long story short, Maria falls in love with the captain, eventually. Why can that “strict-looking” captain falls in love with Maria -a childish, innocent, and careless young lady? The answer is because Maria brings back the music to their home. Before, their home is so quiet. It is Maria who teach the children to sing and enjoy their childhood times. This movie was set during the cold war between Austria and Germany around the 1930s (correct me if I’m wrong). Well if you haven’t watched this movie, buy the DVD (or rent or borrow from your friend) and watch! You won’t regret it. Really. I love all of the soundtracks. I love the set. I learned to sing “Do-Re-Mi” and “Edelweiss” from this movie. 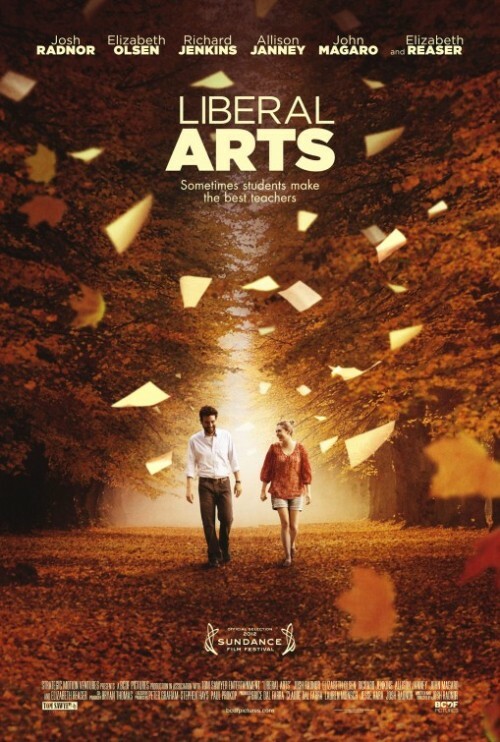 Even, I was singing the main theme of this movie during the practical examination of art in junior high school. I watched this movie for the first time when I was 9 and after watching it more than 20 times, I won’t mind at all if you asked me to watch it again now. I promise, someday when I have a kid, I want to make him/her watch this movie so they know what we called a GOOD MOVIE and a GOOD MUSIC, all in one. And, oh yeah, I really want one of the soundtracks, “Something Good”, to be sang in the day of my wedding holly matrimony. When will it be? Someday. Hehe. I’ve never watched Indian movies before. At least until my 3rd year of undergrad. In fact, I was kinda avoid watching Indian movies because of their (in my opinion) “cheesy” song and their typical scenes (you know, lovers running after each others and dancing around the trees). But, lately to be honest I really enjoy Indian movies, if I can’t say I adore them. The first ever Indian movie that I watched and I found really good was “3 Idiots”. One of my college friends recommended it for me. Here, in UK I met a friend who is a crazy fan of Indian movies and she is also an Indian-Indonesian. lol. And she’s my source of Indian movies. Little by little, she turned me into an Indian movie addict. This is a story about 3 college best friends, Raju; Farhan; and Rancho. They are all engineering students who are studying engineering with different purpose. Among three of them, only Rancho who study engineering based on his passion. But just like any other young people, they fall in love, they have problems to be solved. Basically, they have to deal with their life. Their legendary motto is : “All is well”. Believe me, you will smile, laugh, and cry while watching this movie. I guarantee. This is a really nice movie that teach us about life. It’s a 3 hours-ish movie, by the way. But no worries, it won’t feel that long. If you want to watch something musical, I think this will be the best choice. A story about 3 old best friends who decide to meet up again after some years loosing contact of each others. What do they do? They plan on travelling to Spain and having a road trip to celebrate Kabir’s bachelor party. They are forced to leave their routine activities during this road trip. For a month, they spend the days together. And some surprising things happen. One of them convince about an important issue in his life. And finally this road trip make them know what they actually want in their lives. Since we only live once, just live it to the fullest. Do things that you want. I think that’s the message from the movie. This is really recommended movie and the soundtrack is just too cool! And also there are some poems you can find all over this movies. I’ve just read the translation and it was beautifully written. This is a love story, indeed. The main role, Jay doesn’t believe in love. Even worse, he’s so apathetic with this thing called “love” but eventually he must surrender and admit that love does exist. Anyways, Imran Khan is kinda cute yeah?!? A story about a computer genius (well, a so-called “geek”) who fall in love with a popular girl. He keeps his feeling for 7 years because he just doesn’t have any guts to tell the girl what he really feels. The story is simple, but I don’t know why this movie is really touched me. Another good movie about a struggle in overcoming all obstacles to get your true love. Movies, just like musics, are universal. As long as they’re good, no matter what language they are, they’re worth to be watched. 🙂 So far, I’ve just watched less than 10 Indian movies and I’m impressed! This is a movie about 2 people falling in love. It feels so ordinary and nothing’s special until you find that the boy suffers from Asperger’s Syndrome. Adam Raki (Dancy) is an adult who acted like a child. He was really down when his father suddenly died. He was fired from his job because his employer thought that he was not capable to be in their company due to his Asperger’s Syndrome. His life was ruined. Then, there was a girl named Beth Buchwald (Byrne) who became Adam’s new neighbor. She’s a kindergarten’s teacher. She helped Adam to go through his problems. Adam was falling in love with her but never had courage to tell his feeling to her until the last time he saw her. Finally Adam got a new job and he must move to California. He wanted Beth to accompany him but she wouldn’t want to. Although they finally broke up, but they still kept in touch. This movie is worth watching and as usual I gave more attention to the soundtrack. Try to listen Someone Else’s Life by Joshua Radin. I like that song so much. So, go grab the DVD and watch it, people!! This is one of Indonesian movie that first being released abroad, in London. It will be screened for the first time in Indonesia in the mid August, based on the info I got from some of my friends. The plot of this movie is very simple. About 2 people , Cina and Annisa, who are falling in love. But the story become not as simple as before because both of them have different religion. The girl is a Moslem and the boy is a Catholic. And we’ll see who should win in the battle between love and religion. Ever since I watched this movie’s trailer, I felt that cin(T)a will give controversy in Indonesian movie industry. But somehow I feel that I must watch this movie. In my opinion, the story is so real. Some of my friends also experiencing a kind of relationship like in this movie. I heart the tagline and one of the quote in this movie. Why do YOU create us differently if YOU only want to be worshipped in one way? Meet the main roles, Tom Hansen (Levitt) and Summer Finn (Deschanel). Summer always attracts male attention. On the contrary, Tom is a little bit of shy guy and doesn’t have much experiences on being in a relationship. Tom believes in love at the first sight, while Summer doesn’t. Until someday, Tom feels that Summer is the one who he wants to spend his entire life with. This is a story about the effort of Tom to convince Summer that he’s the right guy for her to spend all of her entire life. Because, you know, Summer is a very independent girl who doesn’t believe in a relationship and boyfriends. Can he make a conviction? I’ve already watched the trailer for several times and so can’t wait to watch this movie. Anyone knows when will it be released in Indonesia? Please tell me! I also have listened to the soundtracks and all is good. I love the soundtracks. I think, it really gets along with the movie plot. This is the movie adaptation from a novel with the same title by Jodie Picoult. Anna Fitzgerald (Breslin) was being born to be genetically matched with her sister, Kate (Vassilieva) who have had suffering from leukimia. Anna wasn’t able to do her activities because of the Kate’s big dependency on her. When Kate got renal failure and need a kidney donation from Anna, she complained. Anna didn’t want to donate her organs for Kate anymore because she thought that she also had rights to her own body. That’s why she sued her parents for medical emancipation. I know, this is a very sad movie. I haven’t read the novel yet. Maybe I should read it before I’ll watch the movie. My Sister’s Keeper has been released in USA since June 2009 but I don’t know when it’ll be released in Indonesia. Maybe I’ve to try finding the DVD. I must watch this phenomenal movie. Both Yi and Cera plays the role as themselves in this documentary movie. 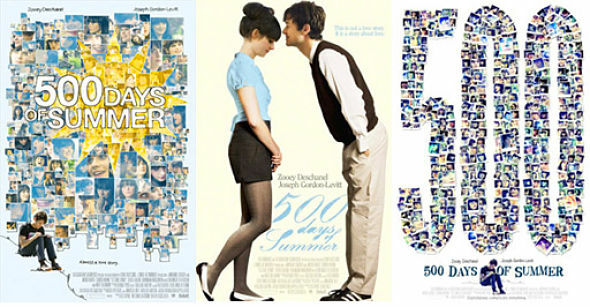 In this movie, we follow the cross country journey of Yi and Cera to documented what exactly ‘love’ is. They’re interviewing lots of people from different backgrounds. Oh yeah, one more thing. If you have a Twitter account, you can follow me on : http://www.twitter.com/gabriellagita. Thank guys, see u on the next post! This is the trailer of the newest Harry Potter movie. Since I’m a Harry Potter’s die-hard fans, I really waiting for this movie premiere right here in Indonesia. Anybody know when is the premiere? Beneran deh saya udah gak sabar nonton film ini. Dulu sempet denger-denger kabar, katanya bakal rilis November 2008. Tapi, mana? Sampai sekarang belom juga rilis. Pengen liat tampangnya Daniel Radcliffe. Makin ganteng gak ya dia? Hahaha..
Tanpa sengaja tadi sore sepulang dari kampus saya menyalakan televisi. Ternyata di HBO sedang diputar film berjudul ‘Little Women’. Wah, beruntung sekali saya. Sudah sangat lama saya ingin menonton film ini. Setahu saya film ini diproduksi pada tahun 1994, sudah lama sekali tentunya. Pada zamannya dulu, film ini katanya juga sangat fenomenal. Film ini bercerita tentang kehidupan suatu keluarga yang terdiri dari seorang ibu dengan 4 orang anak perempuannya. Keempat perempuan tersebut antara lain adalah Meg, Jo, Beth, dan Amy March. Ayah mereka sedang berada di dalam medan perang. Setting film ini adalah pada abad pertengahan, tepatnya ketika masih terjadi perang di Amerika. Keempat anak perempuan tersebut beserta ibu mereka tentunya merupakan cerminan dari wanita tangguh. Pada masa itu kedudukan perempuan masih dianggap lebih rendah daripada laki-laki. Mereka tidak terima dengan perlakuan seperti itu. Bahkan, mereka amat sangat hati-hati terhadap laki-laki yang bermaksud mendekati mereka karena mereka tidak mau dipermainkan oleh para laki-laki itu. Keempat bersaudara itu juga punya sifat yang berbeda-beda. Meg sebagai anak tertua amatlah keibuan. Jo adalah seorang anak yang temperamental dan kadang suka meledak-ledak. Beth amat sangat lembut dan fisiknya juga lemah. Di akhir cerita, dikisahkan Beth meninggal dunia akibat penyakit yang dideritanya. Si kecil Amy sangat pintar dan berpikiran dewasa, jauh melampaui usianya. Namun, di balik segala perbedaan tersebut, mereka semua saling mendukung satu sama lain. Ada beberapa pelajaran yang dapat dipetik dari film ini. Pertama, seorang wanita harus tegar dan tangguh dalam menghadapi segala permasalahan, jangan cengeng. Kedua, wanita dan pria itu semestinya memiliki kedudukan yang sama. Jangan pernah mau diremehkan oleh pria. Ketiga, antar anggota keluarga harus saling mendukung, bukannya saling menjatuhkan. Keluarga merupakan tempat di mana kita bisa menjadi diri kita sendiri dan keluarga pula yang merupakan asal muasal kita yang seperti sekarang ini. Menurut saya film ini sangat bagus. Film yang cocok ditonton bersama-sama dengan keluarga di malam natal. Setting film ini adalah Natal, saat musim dingin. Wah, keren banget deh. Sejujurnya, saya mendambakan merayakan natal dalam suasana musim dingin, pekarangan rumah dikelilingi salju. Seperti di film ini. Hahaha..gak mungkin banget ya? Mudah-mudahan suatu saat nanti saya akan merasakan suasana natal seperti impian saya itu. Film ini juga bisa dikatakan sebagai film yang ‘cewek banget’. Oiya, wardrobe dalam film ini bagus sekali. Baju-baju yang dikenakan oleh the March sisters itu keren, khas baju abad pertengahan. Saya sangat menyukai akting Kirsten Dunst sebagai little Amy. She’s so adorable! Akhirnya kemarin hari Minggu saya nonton film ini juga. Film yang, katanya, paling ditunggu-tunggu di seluruh dunia. Film yang, katanya, fenomenal. Dari beberapa review yang saya baca, sebagian menyebutkan bahwa film ini tidak terlalu bagus. Nyatanya, saya nonton juga. Menurut saya film ini biasa saja. Sepertinya gelar film box-office yang diberikan bagi film ini terlalu berlebihan. Memang sih, special effect-nya bagus. Akan tetapi, menurut saya agak tidak masuk akal. Bella Swan (Kristen Stewart) has always been a bit different, never caring about or fitting in with the trendy girls at her Phoenix, Arizona high school. When her mother Renee (Sarah Clarke) remarries and decides to move with her new husband to Florida, and Bella decides to go live with her father, Charlie (Billy Burke), in the rainy little town of Forks, Washington, she doesn’t expect anything to change. Then she meets the mysterious and dazzlingly beautiful Edward Cullen (Robert Pattinson), a boy unlike any she’s ever met. Intelligent and witty, his piercing eyes see straight into her soul. Soon, Bella and Edward are swept up in a passionate and decidedly unorthodox romance. Edward can run faster than any cheetah, he can stop a moving car with his bare hands, and he hasn’t aged since 1918. Most importantly, he’s a vampire. Like all vampires, he’s immortal. He doesn’t drink human blood (they’re vampire “vegetarians”), which is rare among the vampire population. Instead, they go on regular “hiking” trips, where they feed on prey such as grizzly bears and mountain lions. For Edward, Bella is the thing he has waited ninety years for – a soul mate. But the closer they get, the more Edward must struggle to resist the primal pull of her scent, which could send him into an uncontrollable frenzy. And what will they do when James (Cam Gigandet), Laurent (Edi Gathegi), and Victoria (Rachel Lefevre) come into town and James sets his sights on Bella? Will true love prevail when Edward is forced to save her life and conquer his thirst? The true question is, When you can live forever, what do you live for? Kata orang-orang, pemeran Edward Cullen cakep banget. Menurut saya biasa saja, ah. Hahaha..yaah selera masing-masing orang berbeda.